Situated 5 kilometres to the west of the centre of Brisbane, the state capital, you can visit the vibrant district of Toowong. Those wanting a jam-packed holiday in Brisbane will be excited to learn of its many attractions, such as the Queen Street Mall, the Brisbane Convention and Exhibition Centre and Roma Street Parkland. While you are spending time in Toowong, you might enjoy a visit to the Sir Thomas Brisbane Planetarium. Find something traditional to take home as a souvenir or simply taste some of the culinary delights at Green Flea Markets. The Brisbane Marriott Hotel and Quest River Park Central are handy if you'd like to kick your heels up close by. Organise a guided tour and discover different brewing techniques at Castlemaine Perkins Brewery. 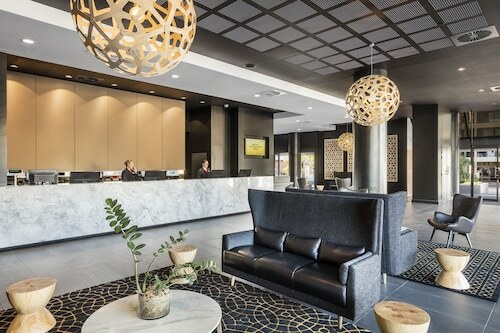 The Hilton Brisbane and Stamford Plaza Brisbane are your best bets for this attraction. Looking to spoil yourself in Toowong? 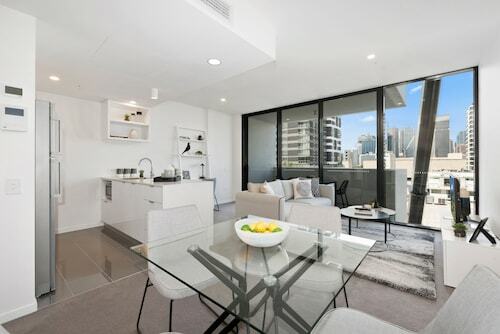 You should take a look at the packages at the Toowong Villas and Jephson Hotel & Apartments. It won't be difficult to find Corner Cafe 26 during your stay in Toowong, just follow the aroma of fresh roasted coffee beans! As well as hot drinks, they offer plenty of sweet treats to help keep you going. When you start thinking about dinner, go and check out Jephson Hotel. The mains may be delicious, but don't forget save room for dessert! It's worth thinking about staying in Inner West or Auchenflower when organising your adventure in Toowong. Inner West is a kilometre from Toowong and Auchenflower is around 2 kilometres away from Toowong. Toowong offers travellers plenty to do as well as some great places to stay. Come on, you know you deserve a vacation, so when it's time to take off for Brisbane or anywhere else in this incredible world of ours, Wotif can get you there, on budget and in style! How Much is a Hotel Room in Toowong? Hotels in Toowong start at AU$116 per night. Prices and availability subject to change. Additional terms may apply.